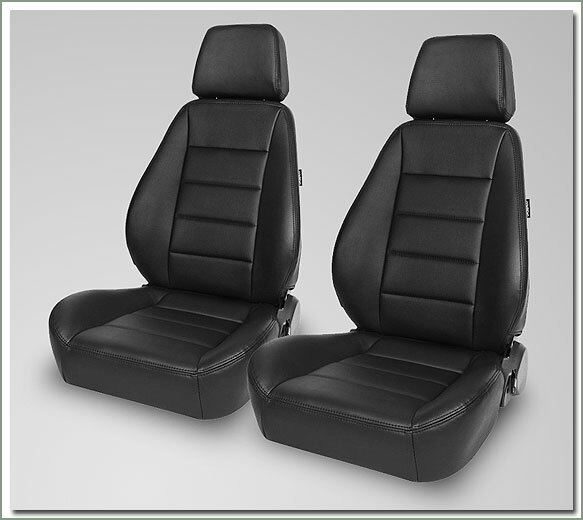 The GTS II is a thickly padded reclining seat, with deep side and lateral bolsters providing maximum comfort and support. 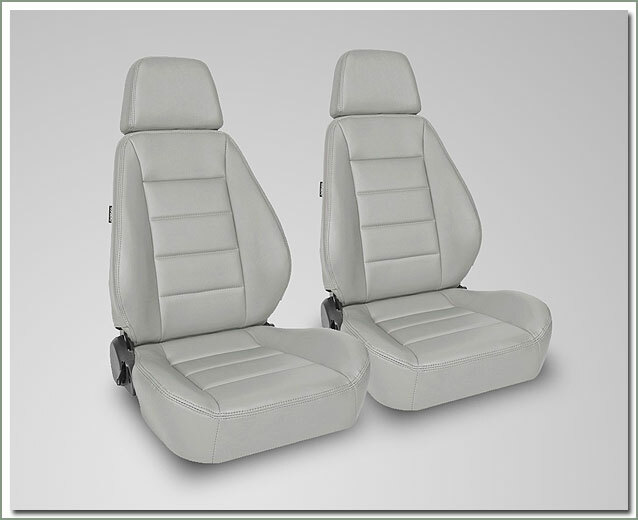 Standard features include fully reclining back with flip forward for rear access, injection molded foam, and adjustable headrest. 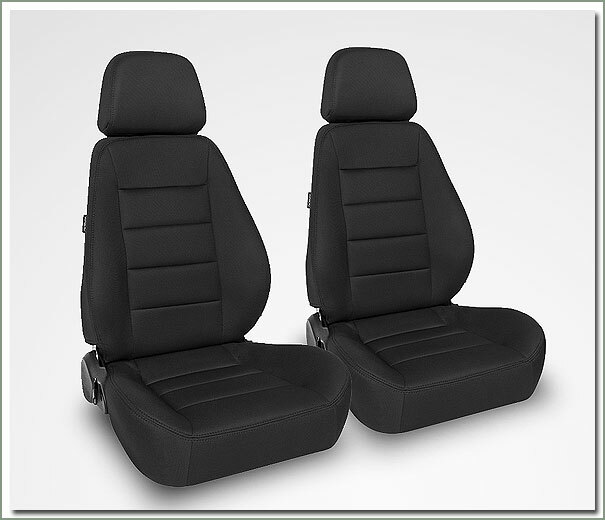 The GTS II seat is available in black cloth. 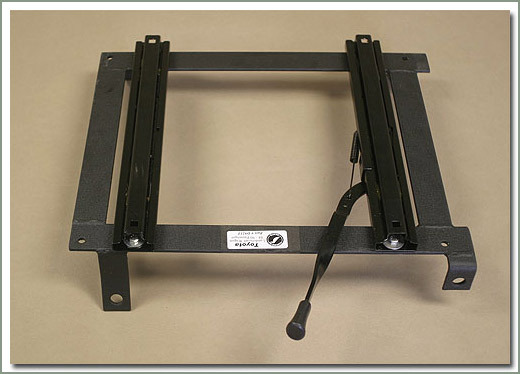 Order mounting brackets for your specific vehicle separately, see listings starting at #480-040. 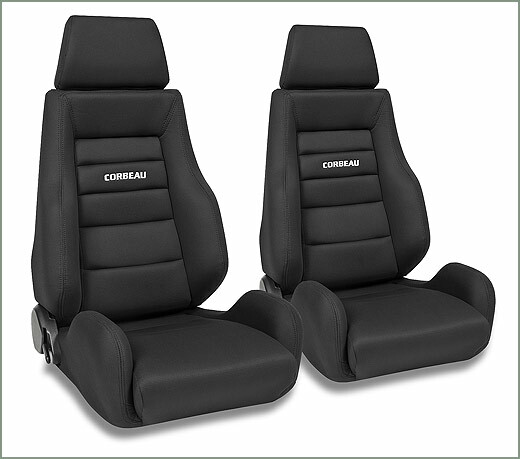 For over 30 years Corbeau has manufactured seats of unsurpassed quality for race, off-road and marine use. 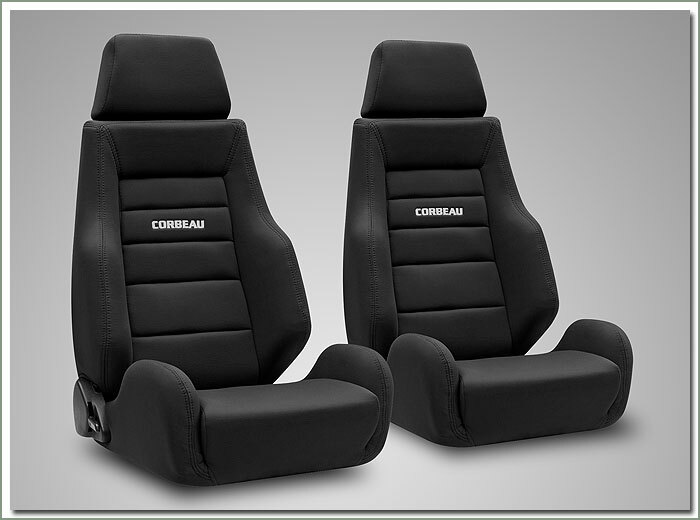 Specter offers a selection of Corbeau Seats and the correct mounting brackets for your Land Cruiser. 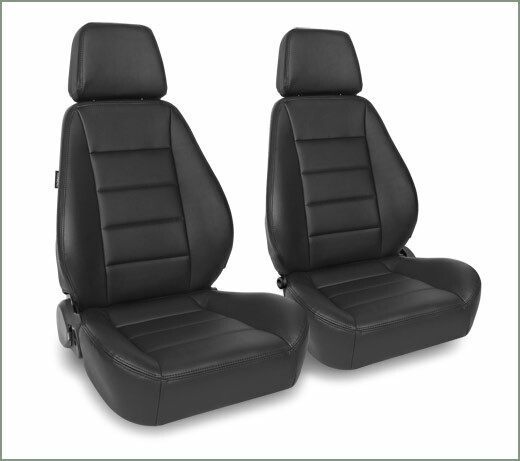 Black cloth - Features fully reclining back with flip forward for rear access, injection molded foam & adjustable headrest. Sold in pairs. 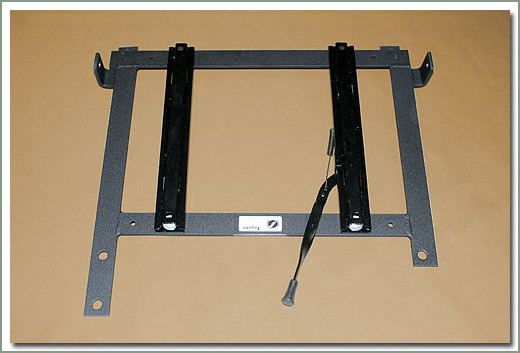 MOUNTING BRACKETS ARE SOLD SEPARATELY. 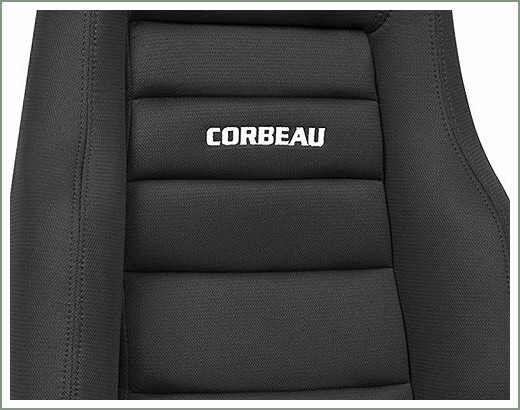 The Corbeau Sport Seat is an affordable reclining seat. 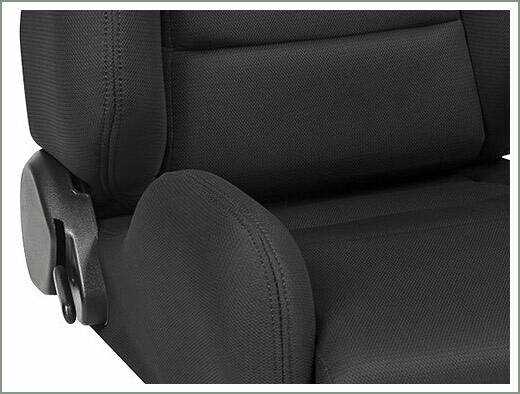 This durable seat includes a double locking reclining mechanism. 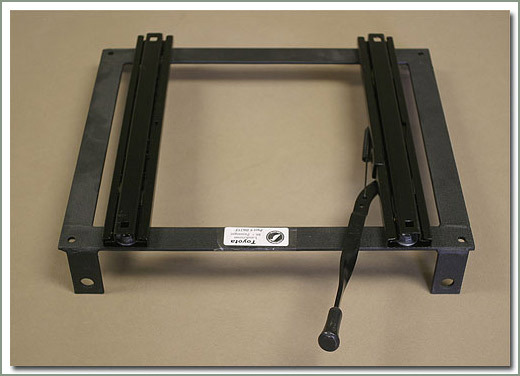 Standard features include a powder coated tubular steel frame, injection molded foam, infinitely adjustable reclining mechanism with flip forward for rear access, and an adjustable headrest. 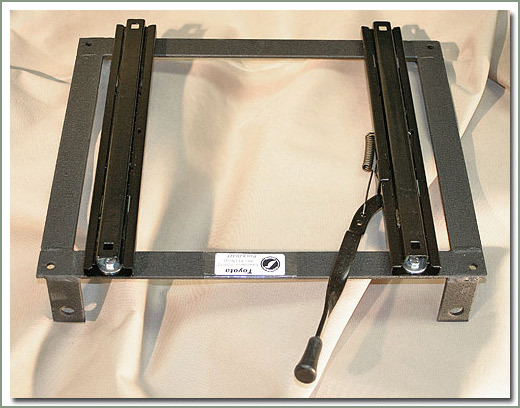 Order mounting brackets for your specific vehicle separately, see listings starting at #480-040. 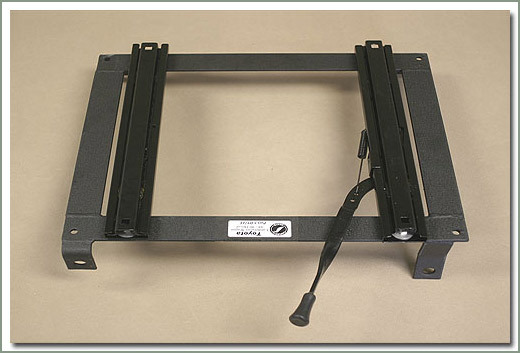 Black vinyl - Features powder coated tubular steel frame, infinitely adjustable reclining mechanism with flip forward for rear access, injection molded foam & adjustable headrest. Sold in a pair. 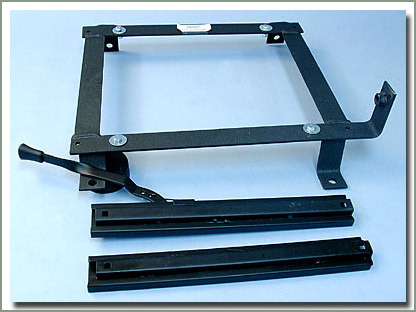 MOUNTING BRACKETS ARE SOLD SEPARATELY. 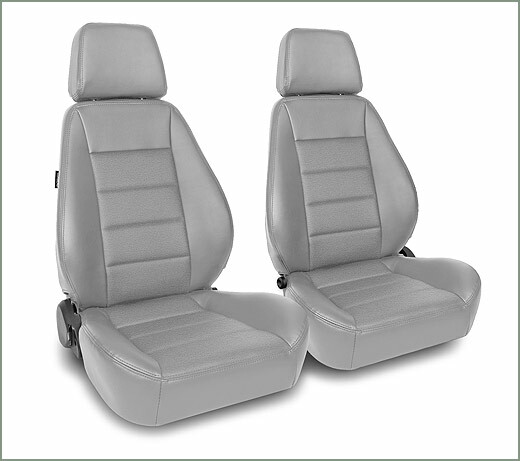 GREY vinyl - Features powder coated tubular steel frame, infinitely adjustable reclining mechanism with flip forward for rear access, injection molded foam & adjustable headrest. Sold in a pair. 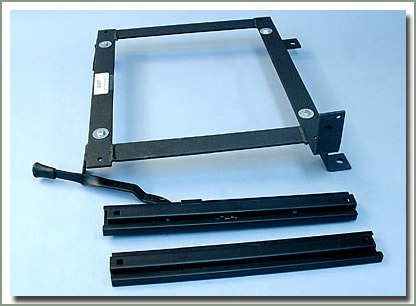 MOUNTING BRACKETS ARE SOLD SEPARATELY. 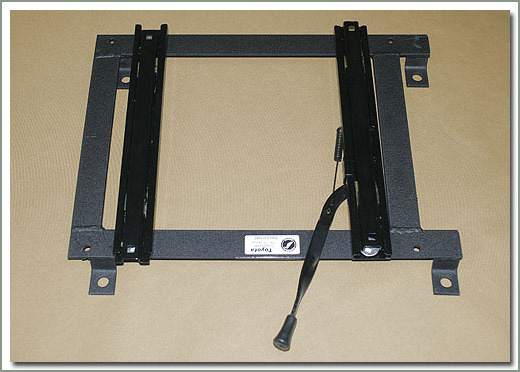 Black cloth - Features powder coated tubular steel frame, infinitely adjustable reclining mechanism with flip forward for rear access, injection molded foam & adjustable headrest. Sold in pairs. 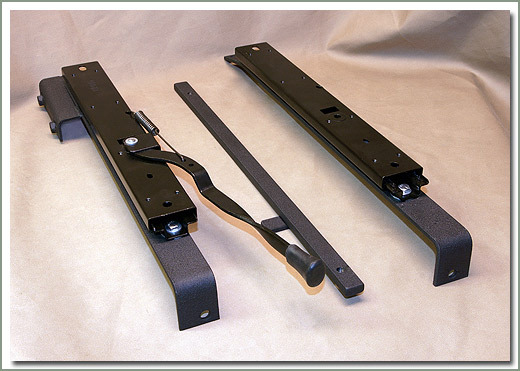 MOUNTING BRACKETS ARE SOLD SEPARATELY. 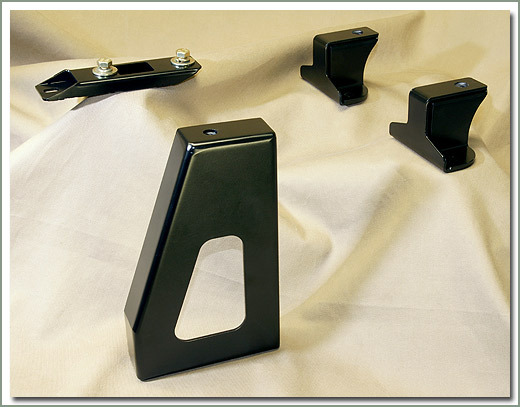 Corbeau Seat Brackets are made from powder coated steel. 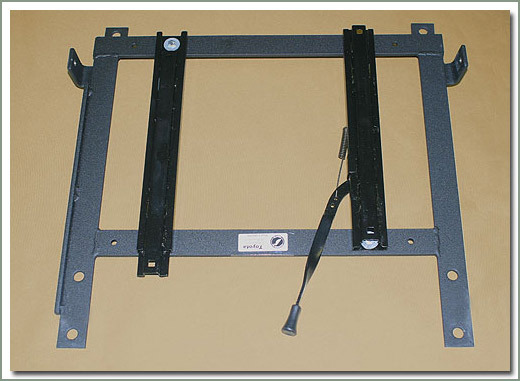 These brackets are sold individually for specific model and year Land Cruisers. They may or may not work with seats from other manufacturers (seat mounting hole dimensions are 13" from front to back, and 16" from side to side). 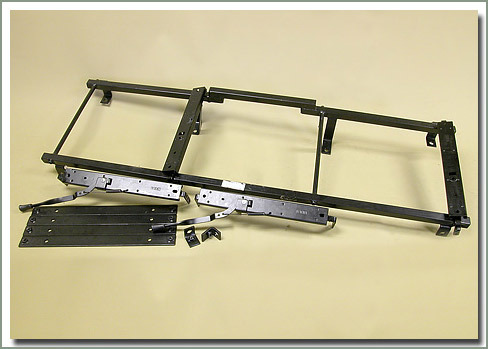 Fits 8/80-4/86 FJ60 stock front passenger seat frame-Made from powder coated steel. Will require modifications to retain rear heater.